To sign in with your Starz account and start watching Outlander, Power, or The Girlfriend Experience, among other content, go to your Google Home app, tap More settings in the side menu, and scroll down to see Videos and Photos. There you'll find Starz among the possible services to link. And you're right, that list still, bafflingly, doesn't have Google Play Movies. Since Google's support pages are very inconsistent with their information, I actually miscalculated and forgot about two other partners that aren't listed in one of the pages but are in another: Crackle and Red Bull. We've already covered these being added in the past so they're not new, but just for proper math's sake, the correct total of video partners is now 9 in the US and not 7. 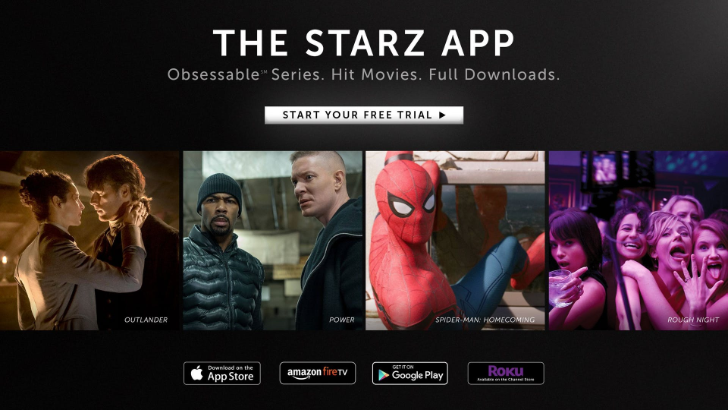 Another distinction we now know is that only Starz direct users can cast with a Google Home. 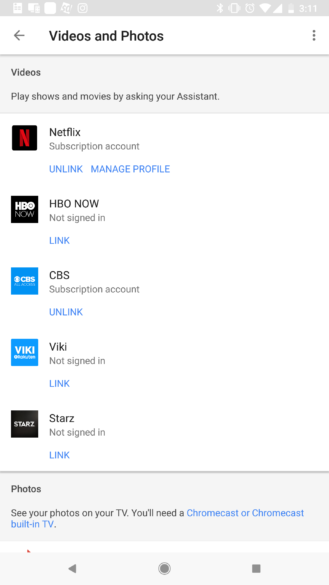 Those who have a cable login can't do it yet.